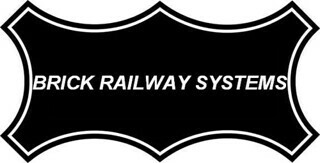 Brick Railway Systems (BRS) was constructed in the early 1870's from pieces of other roads. It began small, with only 120 miles of track laid as of 1873. (Note: Only 57 of those miles were actually constructed by BRS, not by the former component roads) By 1910, BRS had rose through the ranks of the other roads to become the top freight hauler in the country. However, In World War One, the railway was was run into the ground by government control via the Imperial Railroad Administration (IRA), which took over control of all railroads in 1914 and kept them until 1920. Upon return of the company to it's civilian owners, the railroad itself was in shambles The company responded by trimming the unnecessary trains that had been kept running during the war years even though they were practically useless. By 1928, the company had remade itself so much so that it had electrified most of it's main line between Glencoe, Ironwood, & Fort Legoredo. This cut back majorly on some of the costs of steam engine fuel and maintenance for the railroad. The benefit of this was not evident immediately, but later payed for itself when the Great Depression hit. By the the Second World War, BRS was even better off than had been projected in the depths of the depression The war traffic barely affected the system, as the 1920's upgrades had unexpectedly prepared the system for the surge in goods and soldiers. In the late 40's, while several other roads had started getting rid of their steam engines for diesels, BRS was resisting the flow by building more steam, and experimenting with more advanced designs such as duplexes, triplexes, & Garrett’s These efforts never payed off, but the they did give the BRS engineers valuable advice on what to do and what not to do with steam. Meanwhile, diesels were on the railroad from starting around 1936, but not in great numbers until the late '60's. 'The System' (as she is sometimes called) was doing fine at this time, while other roads were struggling. By the '70's, diesel fuel prices had put a stop to the diesel takeover, and optimism was high. This feeling continued right up until 1987. The main competitor, Federal Railways, had gone up for sale and Brick Railway Systems was getting a ring-side seat on what could happen if a road got out of hand. Before their eyes, the road was torn apart by lack of leadership, (not helped by the fact the Federal Railway / Brick Railway Systems merger was denied) lack of funds and working motive power. Then, in late 1992, the railway was finally gone, eaten up by hungry debtors and rival railroads alike. (some of it was eventually bought by BRS) The other half of the '90's & the early 2000's had Brick Railway Systems wondering if the same financial breakdown would happen to it. By 2010 the shock had worn off, and the optimism had returned, albeit with a little more caution. Built in 1977 - 77 after a tornado destroyed the vintage 1899 headquarters for Brick Railway Systems, this building has been modernized several times in it's long life. The first section or "Building A", as it's now known, is shown here and was finished in 1977. A copy was added in 1991 and another in 2010, forming the identical buildings B & C.
The first floor (top right) is the reception area, where visitors wait for the person whom them are visiting to come and get them. 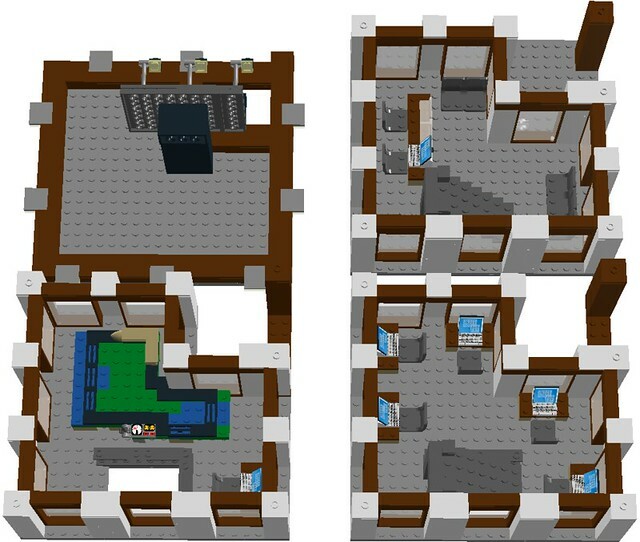 The second floor (bottom right) features an area of cube-less cubicles. In the 1970's, it was thought that an open floor plan would encourage free thinking and higher productivity. The idea never caught on outside of BRS, and has become a hallmark of the company. 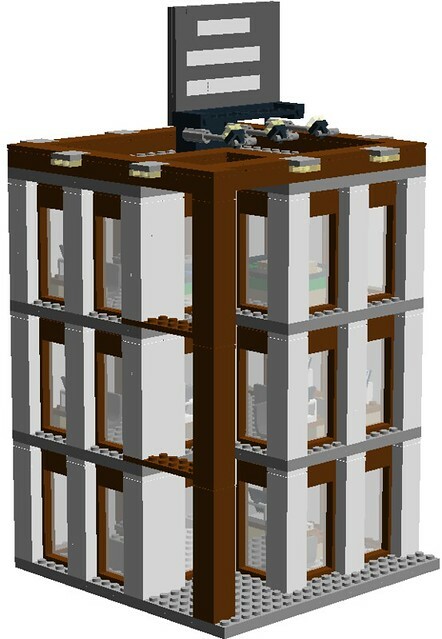 The third floor (bottom left) is the executive level. It contains a very large model railroad showing the humble beginnings of Brick Railway Systems back in 1869 through 1879, when the line ran from Glencoe to Barretts Station and on towards Washington, Missouri. 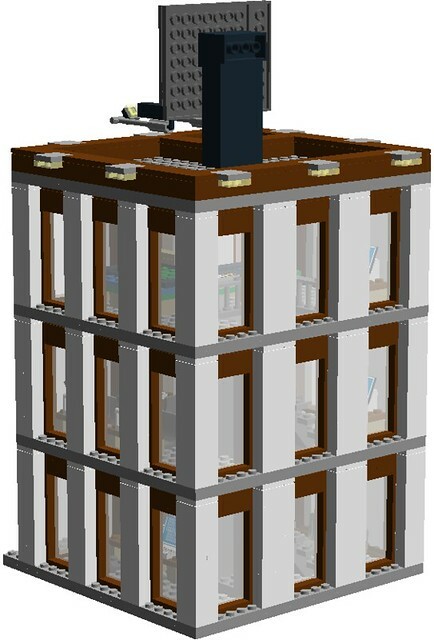 This model is based off of set 60047 (The 2014 Police Station) and has been modified to an extreme extent. The billboard is a modified and enlarged Grand Emporium sign, which is supposed to say the words BRICK RAILWAY SYSTEMS (in printed 1 x 1 tiles). Comments, Questions, & complaints welcome! Well, I guess 305 people (and no comments) can't be wrong. Can some mod please move this to the Train forum? Maybe it will get a better response there, as it is train related! Pretty nice building, I may put something based of this in my town. Sorry for the late reply, and thanks for the compliment. I have updated the first post. It now is a little more organized and features an updated LDD file.